“Do not underestimate the power of Tafari. He creeps like a mouse but he has jaws of a lion.” Balcha Safo of Sidamo’s last words before entering the monastery. Note: this article was originally posted here on Facebook. In the mid-1920s, the powerful warlords of Ethiopia were coming to the realization that a young man of the nobility named Haile Selassie, also known as Ras Tafari, was out competing them all and nearing the point where he could proclaim himself their leader, unifying the country for the first time in decades. Most of his rivals could not understand how this wispy, quiet, mild-mannered man had been able to take control. Yet in 1927, Selassie was able to summon the warlords, one at a time, to come to Addis Ababa to declare their loyalty and recognize him as leader. Some hurried, some hesitated, but only one, Dejazmach Balcha of Sidamo, dared defy Selassie totally. A blustery man, Balcha was a great warrior, and he considered the new leader weak and unworthy. He pointedly stayed away from the capital. Finally Selassie, in his gentle but stem way, commanded Balcha to come. The warlord decided to obey, but in doing so he would turn the tables on this pretender to the Ethiopian throne: He would come to Addis Ababa at his own speed, and with an army of 10,000 men, a force large enough to defend himself, perhaps even start a civil war. Stationing this formidable force in a valley three miles from the capital, he waited, as a king would. Selassie would have to come to him. Selassie did indeed send emissaries, asking Balcha to attend an afternoon banquet in his honor. But Balcha, no fool, knew history—he knew that previous kings and lords of Ethiopia had used banquets as a trap. Once he was there and full of drink, Selassie would have him arrested or murdered. To signal his understanding of the situation, he agreed to come to the banquet, but only if he could bring his personal bodyguard—600 of his best soldiers, all armed and ready to defend him and themselves. To Balcha’s surprise, Selassie answered with the utmost politeness that he would be honored to play host to such warriors. On the way to the banquet, Balcha warned his soldiers not to get drunk and to be on their guard. When they arrived at the palace, Selassie was his charming best. He deferred to Balcha, treated him as if he desperately needed his approval and cooperation. But Balcha refused to be charmed, and he warned Selassie that if he did not return to his camp by nightfall, his army had orders to attack the capital. Selassie reacted as if hurt by his mistrust. 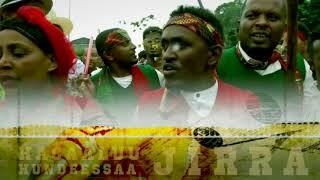 Over the meal, when it came time for the traditional singing of songs in honor of Ethiopia’s leaders, he made a point of allowing only songs honoring the warlord of Sidamo. It seemed to Balcha that Selassie was scared, intimidated by this great warrior who could not be outwitted. Sensing the change, Balcha believed that he would be the one to call the shots in the days to come. At the end of the afternoon, Balcha and his soldiers began their march back to camp amidst cheers and gun salutes. Looking back to the capital over his shoulder, he planned his strategy—how his own soldiers would march through the capital in triumph within weeks, and Selassie would be put in his place, his place being either prison or death. When Balcha came in sight of his camp, however, he saw that something was terribly wrong. Where before there had been colorful tents stretching as far as the eye could see, now there was nothing, only smoke from doused fires. What devil’s magic was this? A witness told Balcha what had happened. During the banquet, a large army, commanded by an ally of Selassie’s, had stolen up on Balcha’s encampment by a side route he had not seen. This army had not come to fight, however: Knowing that Balcha would have heard a noisy battle and hurried back with his 600-man bodyguard, Selassie had armed his own troops with baskets of gold and cash. They had surrounded Balcha’s army and proceeded to purchase every last one of their weapons. Those who refused were easily intimidated. Within a few hours, Balcha’s entire force had been disarmed and scattered in all directions. Realizing his danger, Balcha decided to march south with his 600 soldiers to regroup, but the same army that had disarmed his soldiers blocked his way. The other way out was to march on the capital, but Selassie had set a large army to defend it. Like a chess player, he had predicted Balcha’s moves, and had checkmated him. For the first time in his life, Balcha surrendered. To repent his sins of pride and ambition, he agreed to enter a monastery.